Paulo Cayres, CNM-CUT of Brazil, Clarence Thomas, Ginny Coughlin, SEIU organizer at March 4 march in Mississippi. 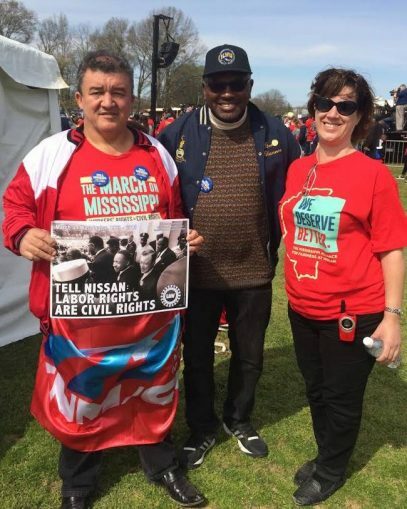 “Labor Rights Equal Civil Rights” was the theme of a historic “March on Mississippi” held March 4 on the Nissan plant in Canton. Over 4,000 people from labor and the community turned out to demand an end to “voter suppression” — i.e., the right to vote in a union representation election, free of intimidation. Over 80 percent of the plant’s workforce is African-American. Of Nissan’s 45 plants worldwide, this is one of only three without union representation; the two others are in Smyrna and Decherd, Tenn.
WW talked to Clarence Thomas, retired executive board member of International Longshore Workers Union Local 10, who flew from San Francisco to Canton to attend the march. 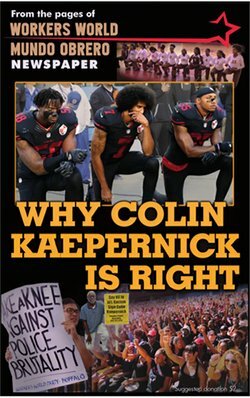 WW: What brought you to the March on Mississippi from California? Clarence Thomas: I was made aware of it by Danny Glover. Danny and I go back to the mid 60s. In terms of our class, we’re two of the most prominent people who came out of [San Francisco] State College and the Black struggle there. Glover is in the tradition of Robeson, Belafonte and others who have used their celebrity status to further the cause of the oppressed and the working class. Danny told me some of the things he’d been doing with Nissan workers, so when I found out it was taking place in Canton — my wife has family there — I felt that now that I’m retired I needed to be there. 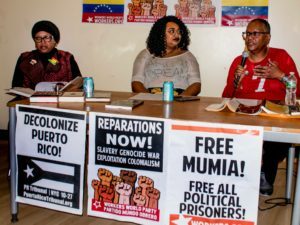 I also was interested because I had heard something about the struggle, heard about other struggles relative to multinational corporations moving to the South, and states are pretty much bidding on these multinationals to come to their state. They’re taking money from economic development in the community and making it available to corporations (tax breaks, etc.). CT: This was a positive and uplifting weekend despite the reasons for being there, of not being able to get a [union representation] vote in 14 years. It was organized as a March on Mississippi and one of the themes was “end voter suppression” — help us fight for the rights of Nissan workers and all workers in Mississippi to vote without interference by the employer. 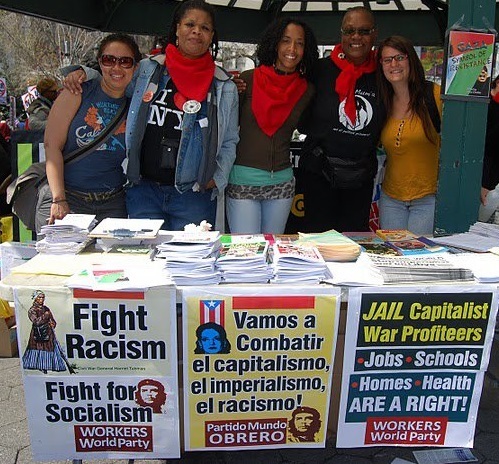 “Workers’ rights equal civil rights” was on the T-shirts that they issued. I thought it was 5,000 in attendance. It was a multiethnic, multigenerational crowd. That was unusual for people to see in the South outside of a sporting or cultural event, which I thought was interesting, because this was a political event. WW: Why did Glover talk to college students? CT: Nissan markets the Altima towards the urban market and likes to pride itself in being a socially responsible car company. Altima is the top seller in the African-American community. Because Nissan markets the Altima towards the urban market, students buy that car. I was with Danny while he was with students at Tupelo College. We met scores of students at various schools. That was reflected in rally attendance. WW: Does Nissan treat Southern Black workers unfairly? CT: Danny has been involved in delegations of Nissan workers that have visited union plants in Brazil, South Africa and France. So it appears as if Nissan allows union representation in 42 plants, but the three [including two in Tennessee] where they don’t is in the so-called “land of the free and home of the brave,” which I think is quite a contradiction. But if you look at the trends of moving to the southern region of the U.S., and knowing the historical situation with respect to the lack of union representation in the South, we can plainly see that multinational corporations, specifically auto, are coming to the South specifically to find a place where unionization will not only not be an encumbrance, but efforts to vote will be suppressed through intimidation. So the whole story of harassment and intimidation is part of the tradition in the South toward Black people and how it relates to the campaign to organize workers at Nissan. WW: Do you have any ideas on moving this critical fight forward? CT: This issue is not just limited to Canton. Union density, when it comes to the private sector, [is] around six or seven percent. There’s movement of multinationals to the South. This is a looming question for labor. What would be an advantage is that the labor movement understands that [the fight] cannot be limited to just the question of the vote. Workers need to be able to put forward their agenda and concerns, which should also be environmental, health care, education, etc. Unions need to be a part of a coalition of concerns that are not just related to the vote but to the class and to the community. That’s what we’ve done in Oakland. When they wanted to expand the port we started the Coalition for an Accountable Port. What it did was to make sure that with the facility they were building, it would be done by organized labor. Also the community had to be involved in the building and apprentice training and get prevailing wages. I also mean things like: What do we do to preserve the marine habitat? What do we do with the dredge? We have a wonderful habitat with exotic birds and where the community can picnic. We organized a coalition so they could not divide the community or labor or the environment by making concessions to one and not the other. When you [go it alone] you don’t connect the dots.